OFFICIALLY, there are only 36 players involved in the Kick for Life FM101, the attempt to set the longest football match in the world. But unofficially, there’s a whole community involved. I dropped by San Roque Parish last Thursday and saw it for myself. There’s the army of cooks from Subangdako, the tanods and the policemen. 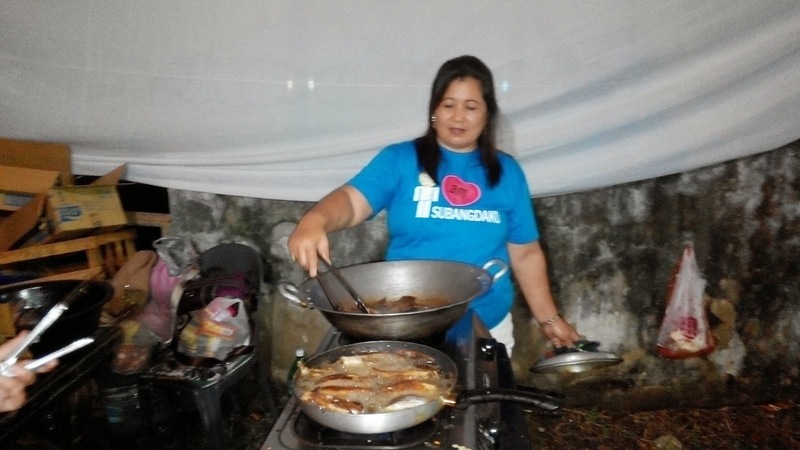 “Sigurado-a nga gwapa mi dong ha,” said one of the cooks as I was taking her picture. I asked around, and I was told that like clockwork, the cooks are there, ready to prepare the food for the players, referees, cops and officials. And yesterday, that wasn’t their only concern. That’s dedication that doesn’t come out of a pay check and hats off to Subangdako, and Mandaue for having them in the staff. While I was there, I eavesdropped their conversation. It was their downtime but all they had in their minds were the players. 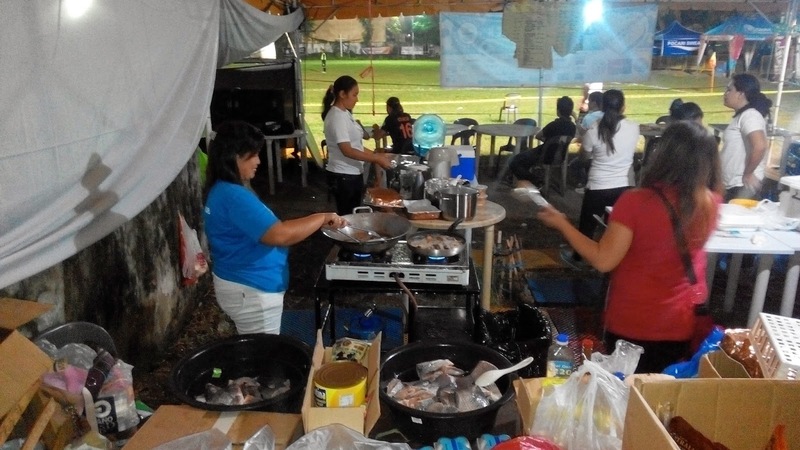 “OK na ang mga players?” one said, while she was busy frying bangus. “Unya pa ila break ug natulog pa ang uban,” was the reply while packs of food were prepared for the police. Scenes like that are common in the record attempt, as an army of support crew work hard to make sure the 36 men and women are still on their feet. It’s great, too, that it’s happening in the San Roque Parish and Mayor Jonas Cortes is supporting it. 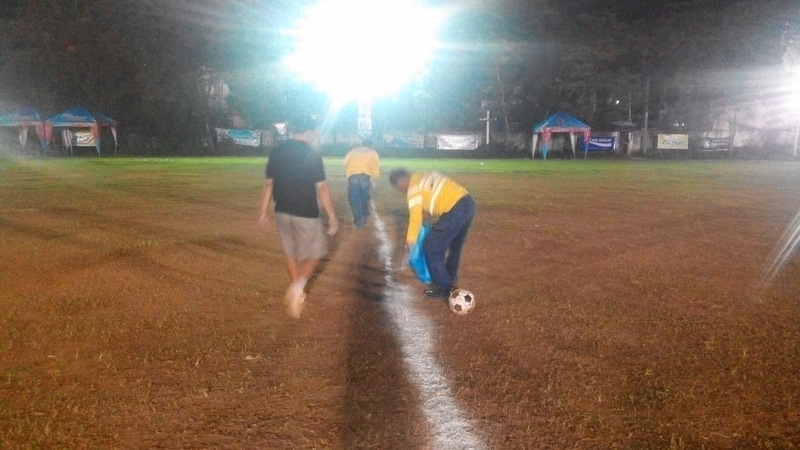 San Roque used to be a football hotbed where a generation of Cebu’s footballers learned their skill. “Di lagi pabayad pero, pugson mo donate, maski mag practice lang,” one said. Holy Pope Francis! I hope this charity event that hopes to raise funds for children with congenital hearts disease won’t have to shell out an arm and a leg for a donation to the church. Everyone’s chipping in to make it successful. 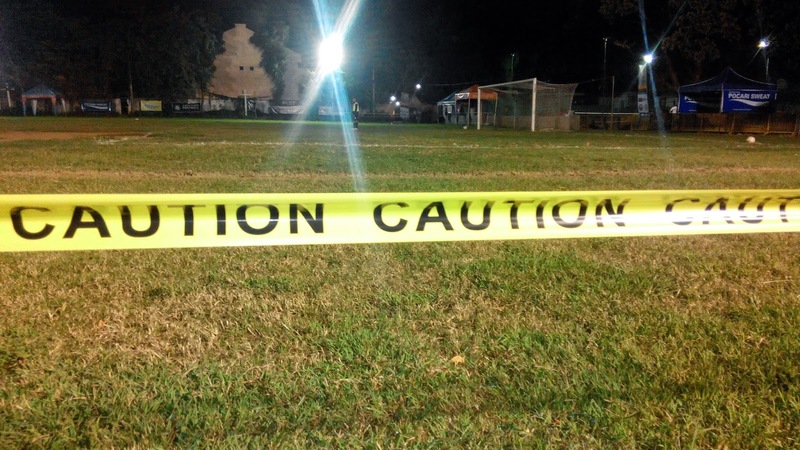 There’s the CFA, which provided the referees, lights and the generator, Mayor Cortes, who provided the tents, the food, the tanods and the cooking crew, the cops, the documentation committee and the band, I hope the San Roque parish too would do it share in helping out its community. There are too many people lending their time and expertise for the event, and it’s commendable how the football community has gathered together. I think the record-attempt is the best thing that happened to San Roque football, because it has gotten the Mayor involved . Who knows? 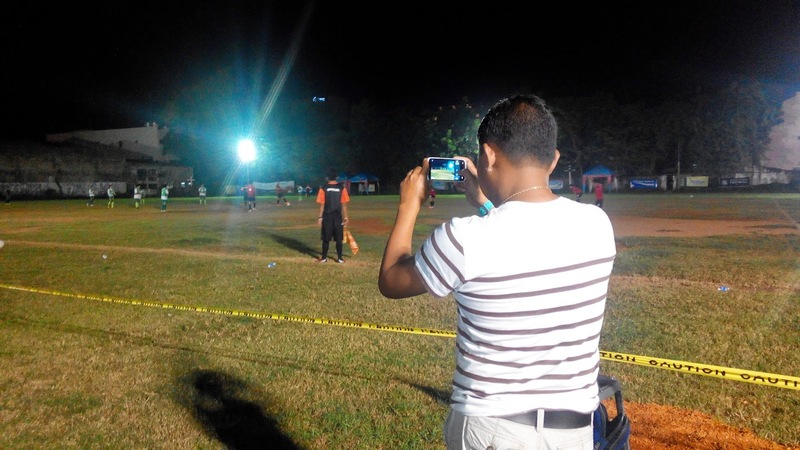 Because of it, he might take a more active role in the promotion of the sport in Mandaue, knowing some of Cebu City’s best players come from his city? I met Dino Musni and Atty. Julius Entise of the CFA during the event, and also Nimrod Quinones. They are there every day that Dino has now lost his voice, while Attorney is getting a good dressing down at home for spending too much time on the field. Attorney is lucky too that no one took his bet seriously. Taking one look at the men and women who would play 101 hours of straight football, he said that they’d last only until 5 p.m. on Thursday. It was already 8 p.m. on Thursday when I got there, and they were still at it. At one point, we were marveling how those guys who checked in at around 10 p.m. were still rushing at the ball, or going on one-on-ones. 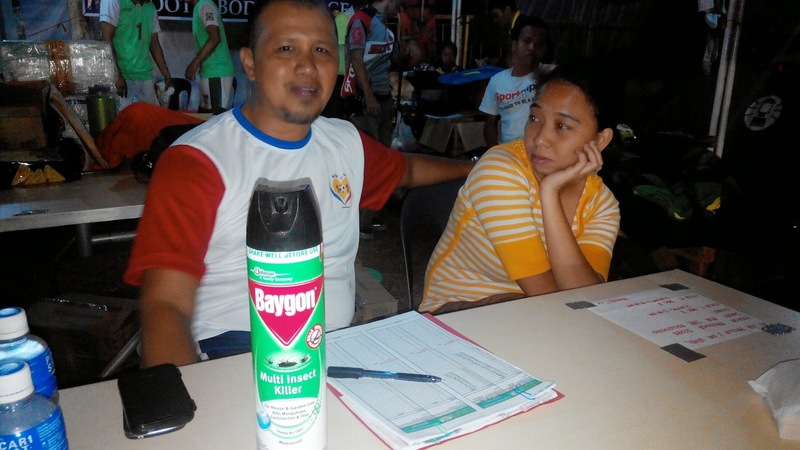 A REAL BAYGON. 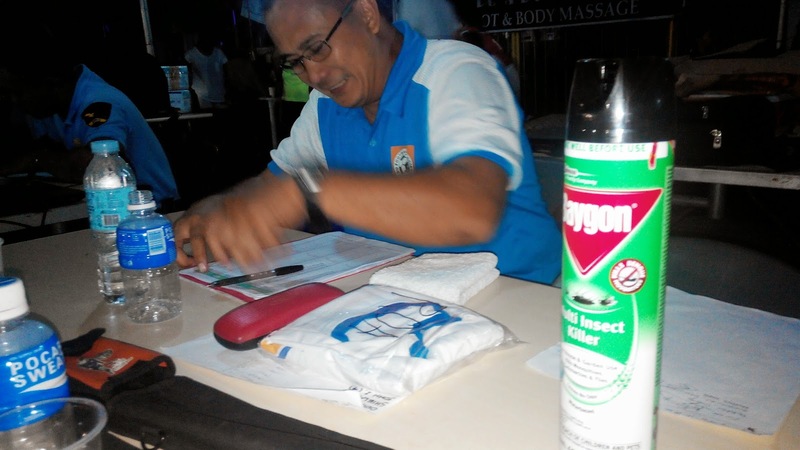 You know that joke about how an injured player gets sprayed with baygon by the PT, FM101 had the real thing sitting on the match commissioner's table. 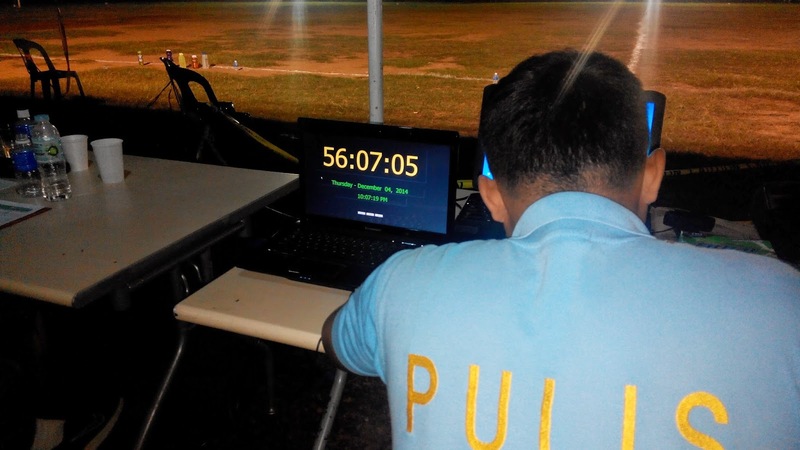 During the 12 to 4 a.m. spell, Jinggoy Roa (above) was on duty.